Sweet Dreams by Jacqueline take pride in the details on our cakes and strive for EXCELLENCE in work and customer service. 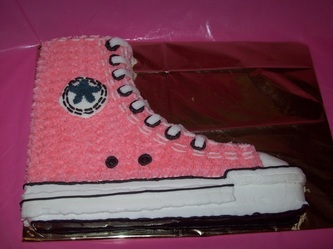 Each cake made is created custom just for you. 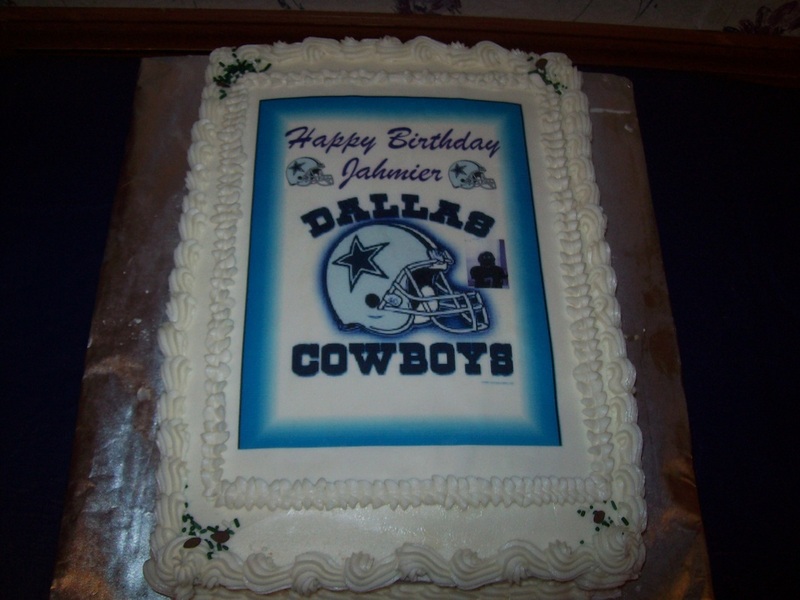 Below you will find how a custom cake is priced. 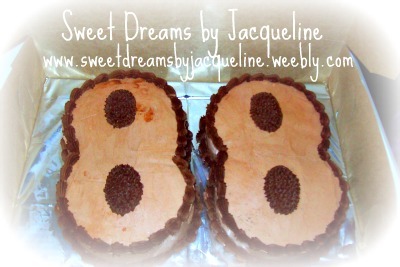 Sweet Dreams by Jacqueline has over 100 flavors to cater to your liking along with a variety of fillings. All orders with require a 6.75% tax to be added to the total. There is a $30.00 minimum on orders and a retainer fee placed down to hold your booked date. 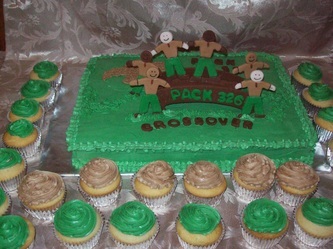 ALL small dessert orders must be paid in full 3 days prior to delivery. ALL Large events (Tier Cakes) remaining balance is due 14 days prior to due date. RETAINER FEES ARE NON-REFUNDABLE AND MAY RANGE BETWEEN $30.00 - $75.00 DEPENDING ON CAKE TOTAL. We Also Offer Full Catering Service !!!!!!!!! At Sweet Dreams by Jacqueline each cake is UNIQUE and CUSTOMIZED to you. Sweet Dreams by Jacqueline takes 100% pride in "Baked Fresh Homemade Cakes"! You will not find frozen cakes in the freezer. Please keep in mind that you stopped by Sweet Dreams by Jacqueline for something you do not get from your local grocery store chain bakery. Therefore, expect pricing to reflect your event, ideas, inspiration whether it be and invitation card, dress material, favorite person or thing such as (food, sports, hobby, or your individual fashion). Your work will be done with love, passion and pride. With that all in mind I cannot give you a specific price on orders since each of the designs will be Unique & Customized. Sweet Dreams by Jacqueline is willing to accommodate any reasonable budget with options to help get the idea cake of your event. Listed below are estimates of sheet and single dessert rounds to give an idea of what a cake may be priced. Please keep in mind that each event is custom and priced according to the completed design requested. This type of buffet can be catered to any event with a budget. A buffet with cake, brownies, cake pops, cake balls, cookies and even chocolate candy can be combo. Lets get together and see what we can create together. thank you table for your guest. The buffet can come in 3-10 different types of candy to fit the color theme of your event. Try one today. Parties 100 guest or more 8-10 different types of candy with 15-20 lbs depending on party size. 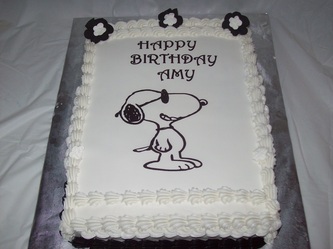 Because each design is different I can only give you a basic price starting at $35 for custom cakes that are 1/4th and $100.00 for a sheet cake serving up to 120 people. 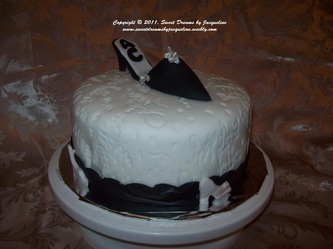 Sweet Dreams by Jacqueline will be more than happy quote your design for your special occasion. Thanks for visiting my page look forward to hearing from YOU!!!! ***Additional sizes available contact Sweet Dreams by Jacqueline for information on the cost. 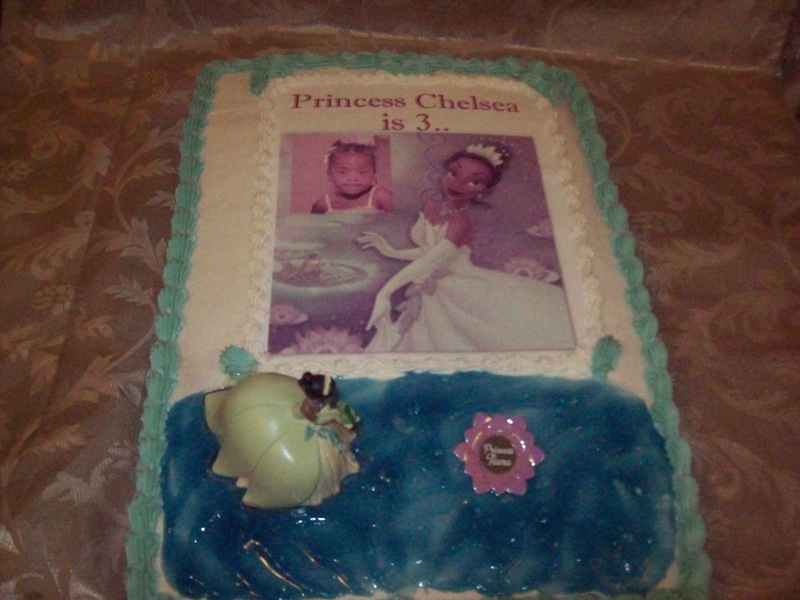 CHARACTER 3 D CAKES START AT $45 add standard matching color cupcakes starting at $7.50 dz/ $10.50 with themed character or pics added with 3D order. This is a detailed summary of what you can expect from Sweet Dreams by Jacqueline. PLEASE READ CAREFULLY. This information can change without notice. Transporting cakes yourself to event location or out of town is totally your responsibility once your cake is viewed and accepted from Sweet Dreams by Jacqueline. 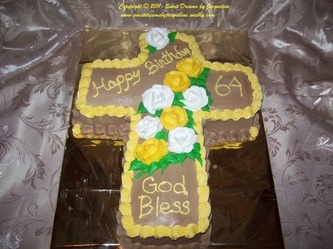 The cake will be opened in your presence to make sure it is in agreement. PLEASE READ CAREFULLY BELOW. Once payment and visual view is accepted, there will be no refunds. Ordering in Advance: Ordering 2 weeks or more in advance is highly recommended for party cakes 75 or less. You still may request after this time to see if order may be filled. Please note that any Tiered Cake is subject to Wedding Cake pricing I do not have separate pricing they are considered the same type of cake (tiered). 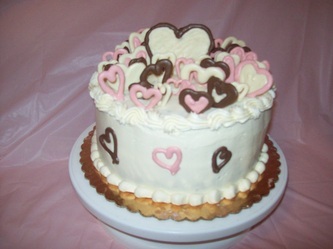 Payment: A Retainer Fee (Non- Refundable) is required on all cake orders at the time your order is placed through Pay Pal, Check or money order which will be emailed to you the day your order is confirmed. Failure to pay in advance will result in non-delivery unless other arrangements have been made. Prices are listed above for deposit amount. This is for the protection of supplies purchased if one decides to cancel order (Retainer Fees are Non refundable) Checks are not accepted for final payment on order payment due within 3 days. 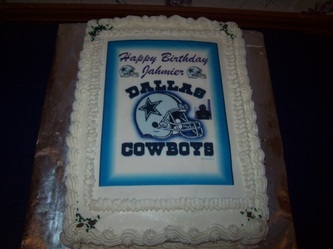 Order Options: All cake flavors, fillings, and design decisions must be finalized at the time or final payment due. 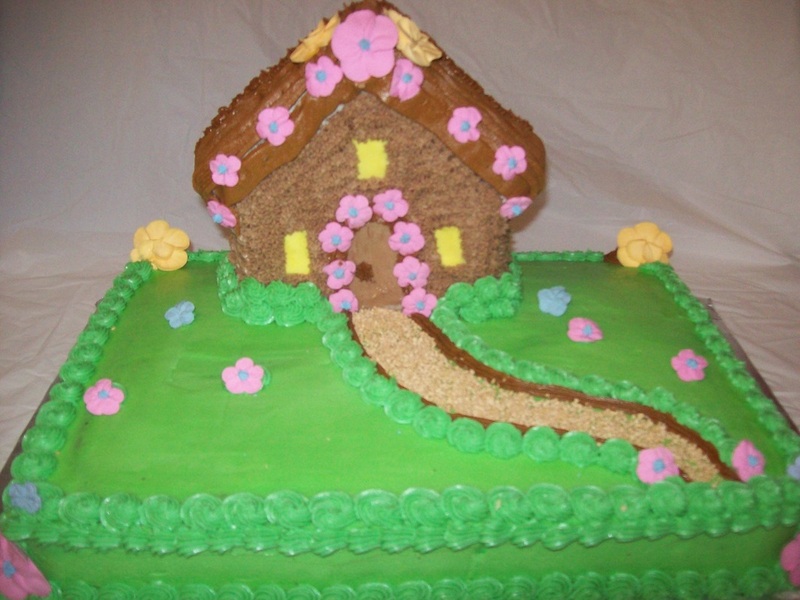 Please note: Sweet Dreams by Jacqueline does not offer exact replicas of other designers' cakes. We will get as detailed as possible, but cannot guarantee replicas. 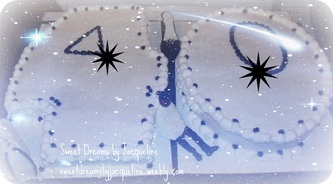 Cake Stands and Boxes: Sweet Dreams by Jacqueline comes with a covered board which is disposable. Boxes are provided for small cake orders. 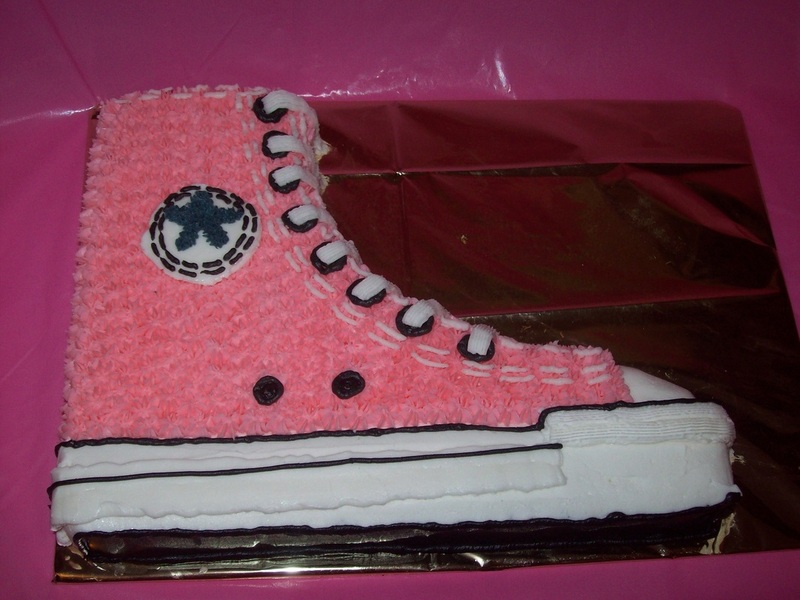 However some cakes cannot be boxed due to size. In the event a box cannot be provided, clear plastic wrap with cake and board will be used to keep your product safe and healthy for consumption. Cake Arrival and Set-up: If applicable, Sweet Dreams by Jacqueline will arrive between 2 hours and 30 minutes prior to the start of your event to assemble, set up and put the final decorating touches on your cake. Additional set-up charges may apply. Sweet Dreams by Jacqueline WILL NOT BE RESPONSIBLE for the climate of the event location, you must make sure there is proper cool conditions for a Butter-cream Base Cake. 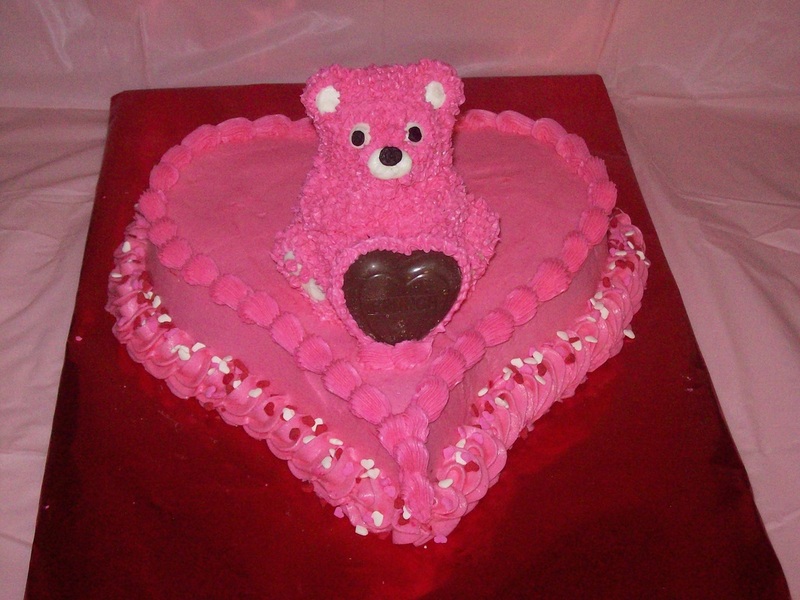 Warm Heat melts your decorated cakes. Sweet Dreams Will not be responsible for any cakes that will be traveling or sitting out for any period of time for a potential of being knocked over, moved improperly, exposure to unknown chemicals/food scents or insects (flies and gnats love sugar) attracting to it. Cake Cutting: Sweet Dreams by Jacqueline does not offer cake cutting services for 2-Tiers. 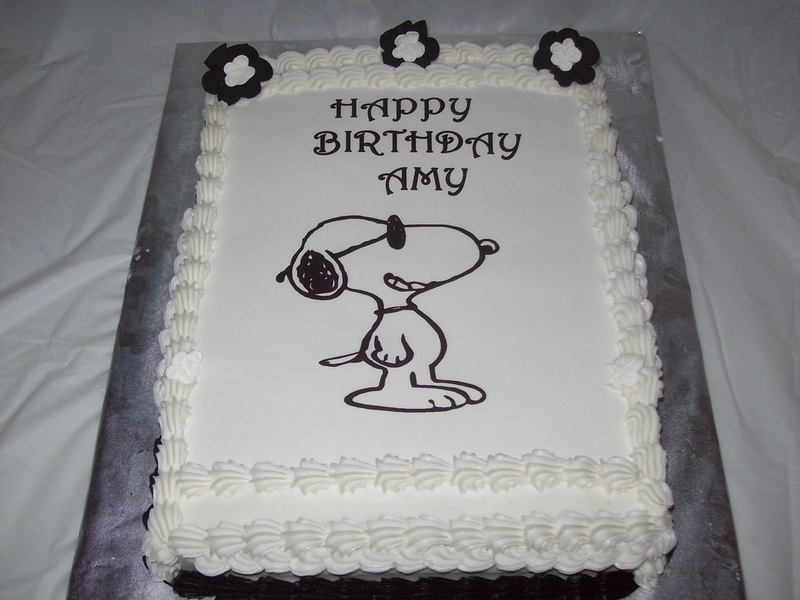 Please feel free to request a cake cutting guide for all double layer cakes. Sweet Dreams by Jacqueline will provide cake cutting services for Tiered party cakes for an additional fee of $25 per hour. (If applicable) . 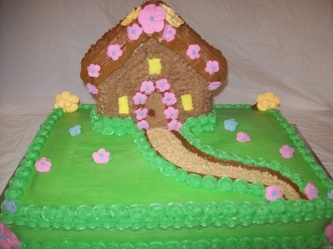 Allergies and Special Food Needs: Sweet Dreams by Jacqueline does NOT guarantee nor do we offer allergy free option. We do offer other healthy alternatives such as sugar free/diabetic/vegan desserts. 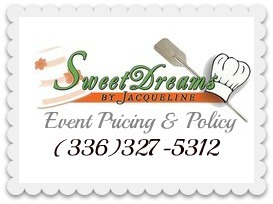 (inquire as needed) Sweet Dreams by Jacqueline will not be responsible for any allergic reactions or health reactions to cake consumers at your event. Flowers: If you are using fresh flowers, your florist must supply them. Your florist, NOT SWEET DREAMS BY JACQUELINE will be responsible for making sure the cake's flowers are healthy for consumption-free of pesticides and the placing on the cake. Cancellation/Refunds: Cancellation must be made at least 3 days (72 hours) prior to the delivery date for party cakes. Retainer Fees are non-refundable at this time only 50 % of your remaining payment will be refunded. Please Note: Sweet Dreams by Jacqueline is not currently a mail cake order delivery service and does not ship out products as of current date. Cakes and Desserts are personally delivered and offer set up services for our products. Cake Arrival and Set-up: If set-up is not necessary, Sweet Dreams by Jacqueline will simply deliver our product to the person/persons who answers the door at the mandated event site. A signature may or may not be required. Phone Call : If no one is available to receive the purchase product, one phone call will be made to the contact number listed on the order for further instructions or to set another delivery time at an EXTRA CHARGE. In this case, Sweet Dreams is not obligated to bake, decorate or create another dessert. Also there will be NO REFUND or CREDIT if delivery cannot be rearranged or made again. Delivery Charge: Additional delivery and set up charges for can be assessed. Unattended Products: Sweet Dreams will NEVER leave a dessert on a porch, step or outside of a delivery site unattended without a signature or written permission prior to delivery unless samples are delivered by a courier service. Approved Authorization: If you place your order and pay your deposit by cash, check, money order, or pay pal this means that you have read and agree with these policies and have entered into an agreement with this business.